Kids love ’em, adults feel nostalgic eating them, and they won’t melt in your hand, just in your mouth — we’re talking M&M’s here. It’s National M&M Day, so get ready to celebrate. Created in 1941, this iconic candy has been a staple for over 75 years. ​M&M’s went on sale in Canada, Europe, Australia, Japan, Malaysia, the United Kingdom, and Hong Kong. ​A black “M” is printed onto M&M’s to give them a unique look — it was changed to a white “M” in 1954. ​The popular M&M tagline, "Melts in your mouth, not in your hand,” was released. 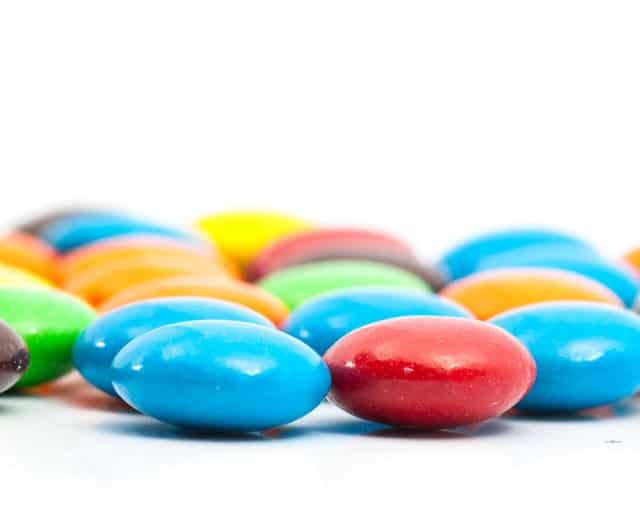 ​After seeing soldiers carry Smarties — chocolate pellets protected by a shell to keep them from melting —during the Spanish Civil War, Forrest Mars Sr., son of the Mars Company founder, pitched the idea of the candy we know today as M&M’s. Bake sales are always great because they get everyone involved in the celebration and they raise money for a cause. So celebrate National M&M Day by inviting friends and family to join you in a bake sale — the only catch is that they have to incorporate M&M’s into whatever item they make. Now, we don’t mean sweet as in “rad” or “cool” (although we’re sure it will be), but when we say sweet, we mean foods, snacks, and drinks that’ll satisfy anyone’s sweet tooth. For instance, you can serve M&M brownies, cookies, cupcakes, smoothies, and cocktails! We’ve all seen the commercials: the smart, know-it-all red one, the dumb but kindhearted yellow one, the sassy, sultry green one. Odds are, there’s an M&M you connect with most, so on National M&M Day, celebrate by rocking a yellow tie, a red shirt, or a green scarf — whatever helps you get in touch with your inner M&M. ​The company stopped making red M&M’s for 10 years because researchers linked the red dye amaranth to cancer (even though red M&M’s didn’t — and still don’t — contain this type of red dye); they picked orange as the replacement. ​Today, we associate a tube of M&M’s with mini M&M’s, but back in the day, the original packaging of all M&M’s was a cardboard tube. Forrest Mars Sr., of the Mars candy company, struck a deal with Bruce Murrie, son of Hershey president William Murrie, to develop a hard-shelled candy with chocolate at the center. Mars eventually decided that having tan and brown M&M’s was silly — and that tan candy was a bit underwhelming — so they had fans choose between blue, pink or purple as the color to replace tan M&M’s; obviously, blue was the winner. ​That’s right, because of how easy they are to eat, M&M’s are the most consumed chocolate in outer space. Not that you need permission to indulge on chocolatey goodness — but still. Go ahead, take full advantage of National M&M Day. The big question: How many will you have? Because they melt in your mouth, not in your hand — need we say more? As their famous tagline suggests, M&M’s won’t melt in your hand — making them a perfect treat for kids (and any adults who have a million things to do and can’t inhale their M&M’s in a matter of seconds). So celebrate this candy staple — and one that has saved you from being a chocolatey mess. Milk chocolate and dark. Salty caramel and mint. Let's not forget peanuts. Plus, like race cars, they come in a variety of custom colors. So on National M&M Day, celebrate the candy that has something for everyone.